CCA Kids Blog: CAM is here! Craniofacial Acceptance Month is here! All month long we'll be "Turning the Blog Yellow" with your photos and stories. 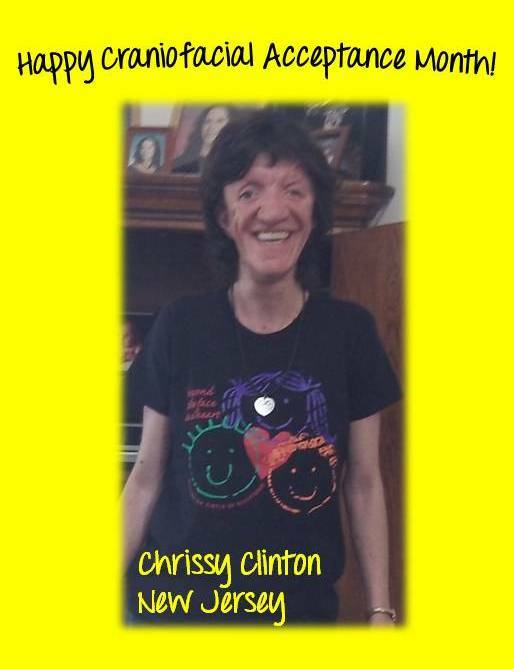 Our first photo comes from Chrissy Clinton, in New Jersey. She's showing off her "Beyond the Face" t-shirt and her CCA Dogtag Necklace. Get your own CCA gear here. So send us your stories, photos, quotes ... and more photos! We'll be taking submissions throughout the month of September to share on our blog. Please send submissions to ccakids@gmail.com. Always include your name, contact info, and parent's permission if you're under 18.